There is a beauty to political cartoons that captures the essence of a moment in one visual that a thousand words could not explain. 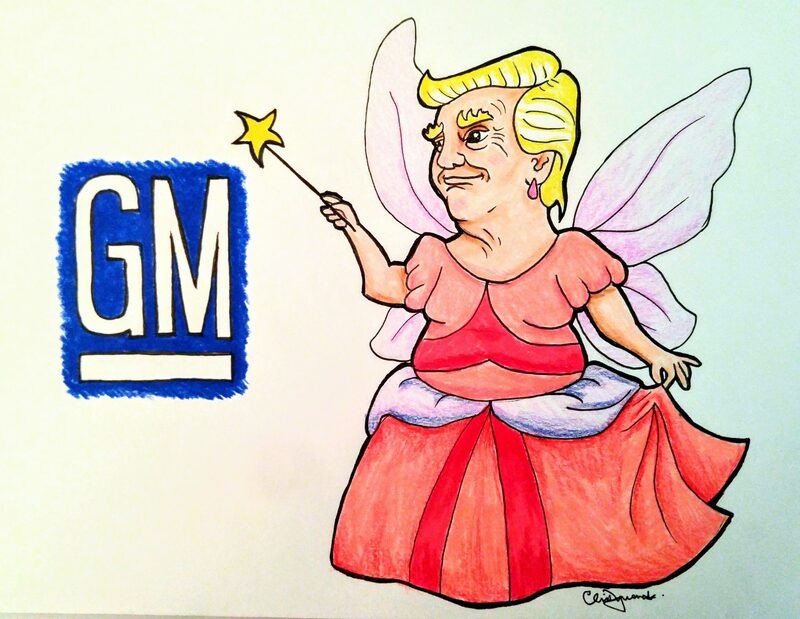 A few days ago, I asked a young friend, artist and blacksmith-in-training Chris Dywanski, to see if he could come up with images that could capture the ludicrous nature of a megalomanic dictator using a Finnish leaf rake to stop the California wildfires, or a magic wand that could bring back GM factories. This is the true magic of creativity. 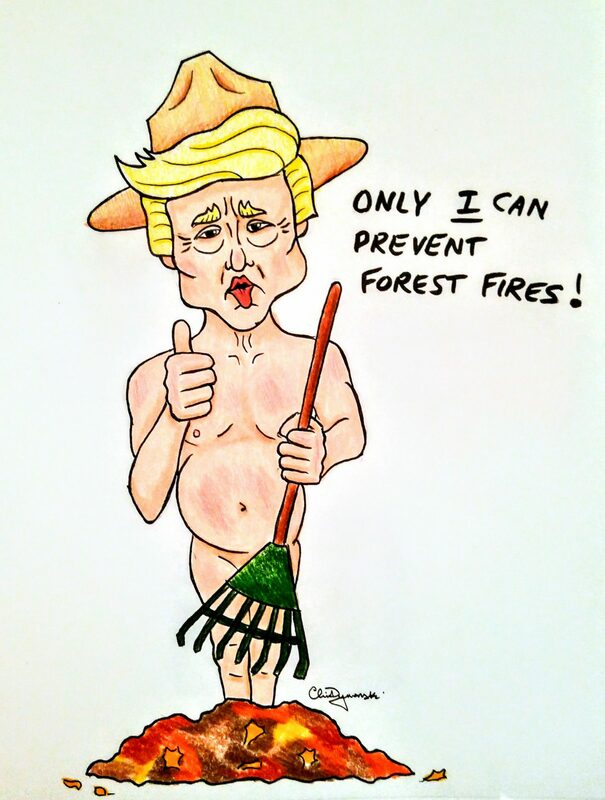 Fellow organisms on Planet Earth, I introduce to you political cartoonist, Chris Dywanski. This entry was posted in Education, Environment, Humour, Politics by Skid. Bookmark the permalink.